For nearly two decades, she was always bent. Her chin couldn’t lift far from her chest. Her back was cemented in a forced bow. Pain gnawed from incessant hunching. Infirmity defined her. The Scripture says she was crippled by a spirit. Luke unfolds this story of healing by first introducing the nature of this woman’s suffering. It was chronic - the body, with its way of repairing itself, could not mend this illness. It was intractable - nothing had made things better. There was not even a prognosis - no clarity for the future, only more of the same bent oppression. Eighteen years had made her whole being droop with what must have felt like the final word: infirmity was all she could anticipate. There is no indication that this bent woman, who shuffled to the synagogue on the Sabbath, was there seeking healing. Faithful synagogue-going was likely as familiar as rising from bed in the morning. 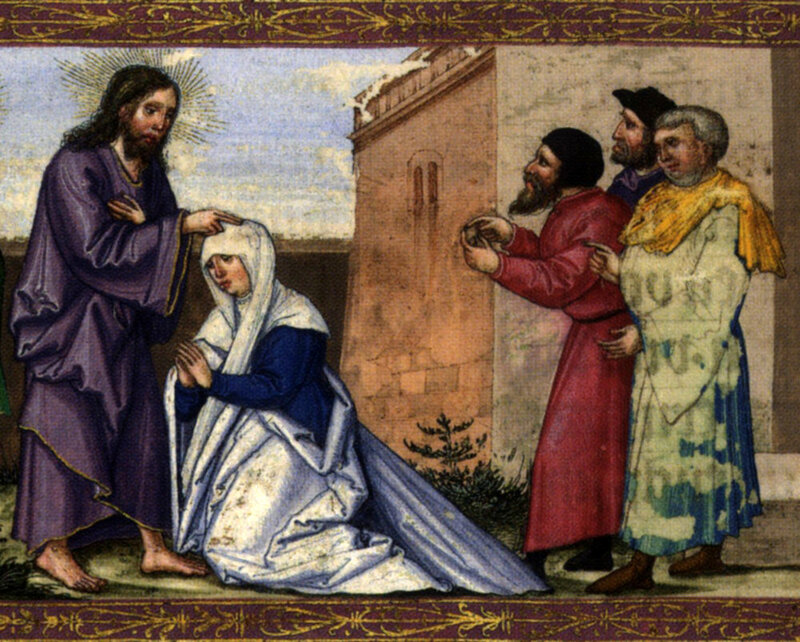 Surely she had heard of this healer-man, Jesus, but it wasn’t she who reached toward him that day. Unlike the throngs that pressed in for healing - pushing down from a cut roof, grasping the cloak’s edge, screaming from the middle of a crowd - this woman was passive. Perhaps she had wondered if he could make her well too. But it was Jesus who initiated here. It seems he knew the will to seek healing had nearly run dry for her. Jesus, the one who “took up our infirmities,” knew the nature of all kinds of suffering, including the particular pain of chronic illness. And here, he didn’t wait. “But when Jesus saw her, he called her to him…” It was he who pressed in this time. With those words, the whimpering hopes and abiding fears of eighteen years were met by One who pressed in to unshackle. The synagogue audience saw how “immediately she was made straight.” Upright and free now, healed in body and spirit, the woman’s will soared. “And she glorified God.” Completely absorbed with her Healer, she gushed adoration. And those with her that day “were delighted with all the wonderful things He was doing.” All except the synagogue leader. He had eyes only for keeping order: six days for work - and healing. Be healed then, but not on the seventh day. And here, because of this man’s hardness, we get a closer glimpse of Jesus’ tenderness for chronic suffering. He tells us his thoughts for this now-well woman that he calls a daughter of Abraham. “Should not this woman, a daughter of Abraham, whom Satan has kept bound for eighteen long years, be set free on the Sabbath day from what bound her?” He named her full God-reflecting humanity. He saw her oppression. He felt the weight of those long years. And, with the question, Jesus declared his passion and eagerness for her freedom from enduring suffering. Rachel Medefind is mother and educator for her five children, and has welcomed children through birth, adoption, and foster care. She is privileged to journey alongside her husband, Jedd, in the work of the Christian Alliance for Orphans.